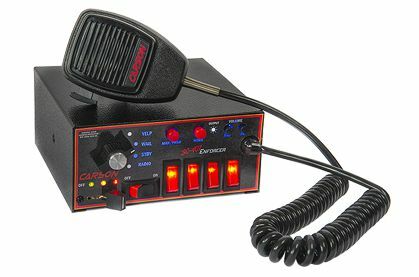 The SC-407 ENFORCER combines the elements of a full featured siren with the light control capabilities of a switch box with a slide switch in a single, integrated and economical system. Coupling 200 watts of siren output and 140 total amps of light control capacity, the ENFORCER gets the job done by utilizing traditional, dependable and simple to operate controls even in the most demanding driving situations. The new, aesthetically pleasing appearance of the SC-407 ENFORCER, it’s compliment of features, and it’s affordable price make this Light Control Siren an attractive buy.